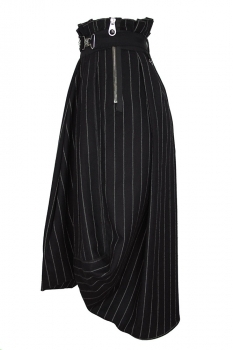 High black pin-stripe skirt, 'Outset'. 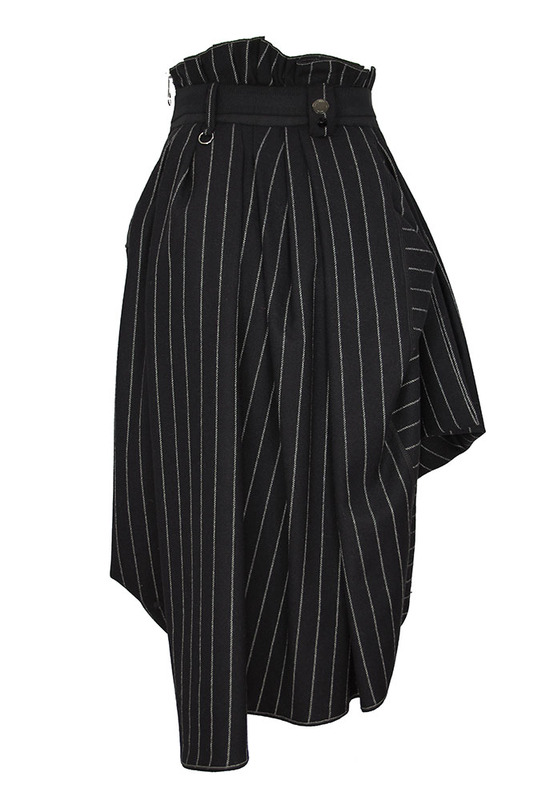 Waisted with gathered pleats. Elasticated waist panel with wide elastic on the inside and outside of the main fabric. Stainless steel zip fastening with button. Single pocket on right side. Removable, elasticated belt with embroidered front panel, which attaches to the belt with metal fittings. 2 belt loops. Beautifully shaped and pleated, with panels at angles etc, this is a tour-de-force of a skirt, wonderful!